Long working hours at the office can be stressful at times. You yearn to go back home, lay down in bed, and spend time with someone you genuinely love and who reciprocates the same feeling. That’s when you realize the importance of having a cat as your pet. Even if you have a life-partner, there’s no replacing the affection of a cat because their love is unconditional. Experts believe that cats can lower your blood pressure and elevate your mood. People who are anxious about their job will find the perfect companion if they have a cat as their pet. As a cat owner, you need to look after your cat’s health, provide them food and water at regular hours, and take them for a walk or play with them in the house. This motivates you to lead a routine life. You are always on the lookout to care for your cat’s health; if their litter box is out of the litter, you immediately search for the brand voted 2019 best cat litter or if they want to eat something new, you search for their favorite dry and wet food. Creating a routine can be applied to other areas of your life, ensuring that everything’s organized so you wouldn’t have to feel overwhelmed all the time. Cats have a sixth sense that helps them understand your mood. They can sense if you are upset or having a bad day. Your cat will do everything it can to cheer you up. They will lick you till you smile, cuddle in your arms, or climb on your shoulders. These pets love you unconditionally, and no matter what your mood is, they will always try to make you feel better. 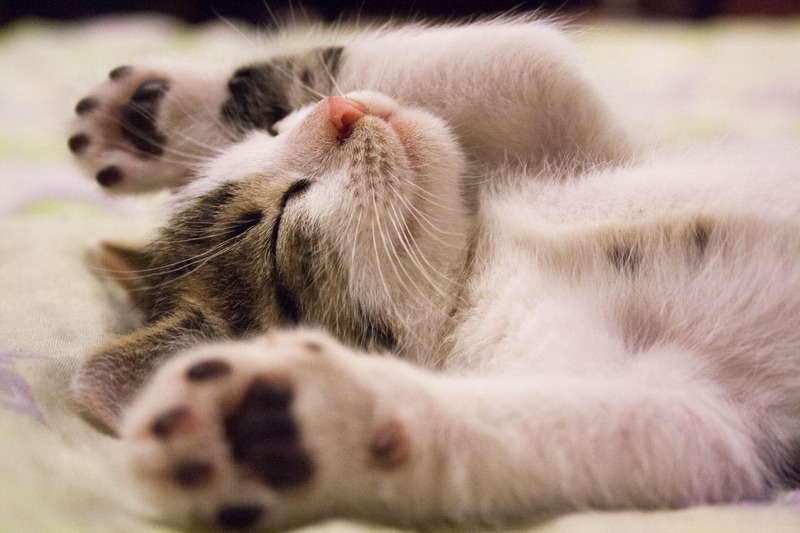 Your cat can be your favorite sleeping partner. They can drive your anxiety and loneliness away helping you drift off to sleep. According to research on sleep study by Mayo Clinic Center for Sleep Medicine, more than 41% of cat owners agree that they sleep better when they have their pet cat beside them sharing their bed. Increased anxiety levels and blood pressure can cause significant harm to your body and brain. Scientists reveal that stroking a cat’s coat can induce a calming effect that can reduce hypertension to a great extent. It reduces the secretion of stress-related hormones in your bloodstream helping you calm down. This not only reduces the chances of heart attacks but also makes your mind peaceful. Cats can be your best friend at the darkest hours of your life. Their mischievous activities go far beyond the likes of being cute and cuddly creatures. They contribute to your mental wellbeing more than you can expect from an animal.